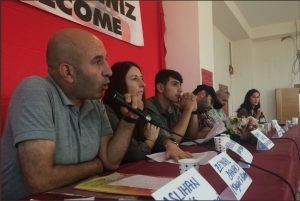 Home » Anti-Imperialist Front » Report from the 9th “Eyüp Baş” Symposium: OUR UNITY GIVES US THE STRENGTH AGAINST THE IMPERIALISM! 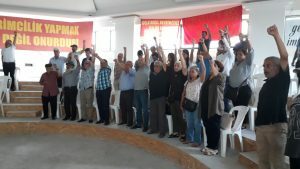 Report from the 9th “Eyüp Baş” Symposium: OUR UNITY GIVES US THE STRENGTH AGAINST THE IMPERIALISM! 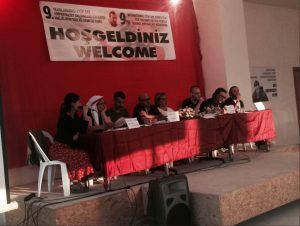 9th “Eyüp Baş” International Symposium of the People’s Unity Against the Imperialist Aggression has been celebrated this year on September 8th and 9th in Istanbul’s Küçük Armutlu neighbourhood. The importance of this Symposium from the standpoint of it’s organiser, the Anti-Imperialist Front is, in spite of the so intensive fascist attacks and the politics of submission, the vitality of the support that will be given once again, as the participant speakers from the revolutionary and democratic organisations from Germany, Bulgaria, Italy, Lebanon and Greece frequently stress. The first day of the Symposium started with a minute of silence. After the opening speech, the support messages from the prisoners and Syrian Baath party were read. 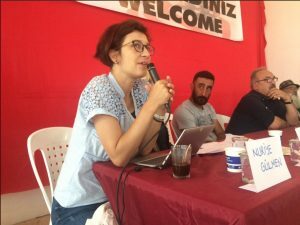 A statement was read regarding Ekrem Deniz Osmanoğulları who came from Netherlands as a translator for the Symposium but got arrested on September 5th on the airport, and then imprisoned on September 6th. The given statement mentioned not being stranger to the AKP’s attacks and that our friends who participated in the works on the 8th “Eyüp Baş” Symposium were imprisoned without any concrete proof. After the statement made for the Anti-Imperialist Front’s prisoners, and exposing the AKP’s imprisonment terror, Symposium’s first session started. 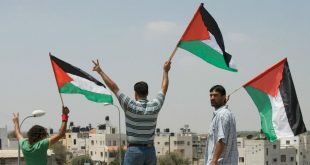 On the first session under the title “The Imperialist Crisis and Offensives Against the People”, participants from People’s Front, People’s Law Office, Revolutionary Offensive (Greece), Democratic Front for Liberation of Palestine gave a speech. Mulla Zincir who spoke in the name of the People’s Front, explained that the attacks of US imperialism and it’s collaborators against the people are increasing and that the source of the increase is the deepening of the imperialist crisis. After that, he conveyed that the AKP fascism-the imperialism’s local collaborator- attacks principally the revolutionary and democratic opposition, but eventually all of it’s opponents. He also added that those attacks will not yield results. The first session of the Symposium was continued by Konstadina Kartsioti from Revolutionary Offensive (Greece). She started her speech with the words. 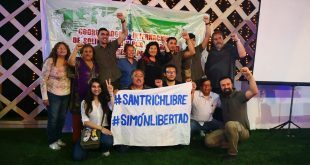 “The fascism has imprisoned and tortured hundreds of revolutionary and democratic individuals. We stand by our comrades from People’s Front”, continued talking about the current situation in Syria, and the policies of AKP government in that country, and added: “As components of the Anti-Imperialist Front, the questions we need to ask is what is the reality in Syria now. Because if we don’t we will not be able to analyse the upcoming imperialist policies in advancing period”. At the end of her discourse, she stated that it is necessary for all of us together to prevent via solidarity the attacks of the imperialists and it’s collaborators, it’s occupation, terror against the people. After him, the representative of Ukraine’s Borotba organisations Dmitro Kolesnik connected to the first session of Symposium via Skype. Kolesnik who spoke about the Ukraine’s imperialist policies, expressed his regret for not being able to attend the Symposium in person due to various reasons, and conveyed his message of support. After everyone together had a lunch during the break, the participants engaged in a folk dance in the garden where they were sitting. It was crowded but enthusiastic. After this break that we spent with enthusiasm together with our comrades that came from revolutionary-democratic organisations from different countries in the world, and with the Anti-Imperialist Front members, the second session started. THE SYMPOSIUM’S 2nd SESSION was titled “Prisoners”. Before the speakers have started their discourse, the support messages from the Communist Party of the Donetsk People’s Republic and Communist Party of the People of Spain were read. On the “Prisons” session the first to speak was Naime Kara in the name of families of TAYAD (Association of support and solidarity for prisoners) that suffered torture, that supported the prisoners under every condition, felt every slap in the face to their imprisoned children and exposed it, that resisted together with them. Naime Kara explained the violation of rights in the prisons, the imposition of the prison uniforms and torture, then continued by saying that the organisation will resist and create new resistances against those impositions. Afterwards, the word was given to Gianfranco Castellotti in the name of Anti-Imperialist Front Italy. First of all he offered a greeting full of love for the comrades that wage struggle against the imperialism, for the participants and for the organisers of the Symposium. He explained the isolation policies in Italian prisons. After Catellotti, the word was given to Stefan Petrov in the name of Bulgarian Movement 23rd of September. He conveyed the greeting to the revolutionary prisoners in the Turkish fascist prisons, and talked about the isolation conditions in the Bulgarian prisons, as well as the the violation of rights. He talked about the conditions which, in name of breaking the prison resistance and spoil the organisation [of prisoners], isolates the revolutionary-democratic prisoners, does not allow their socialisation and brings those rights to halt. Then Rajaa Hachem from Lebanon’s People’s Movement spoke and explained the offensive of Israeli Zionism against the Palestinian people and prisoners. Ivan Parchomenko who spoke in the name of Communist Party of Chile-Worker’s Movement, gave a speech with the flag containing the movement’s symbol and the acronym. At the same session, the final speak was Tahsin Sağaltıcı who was recently released. “We are, first of all, revolutionaries. We’re Front’s revolutionaries. In the prisons the attacks to seize the control of revolutionaries are taking place. 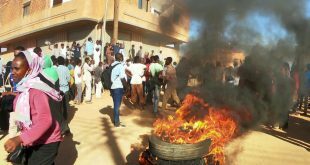 However, they cannot take the revolutionaries under control. Because of this we are using the term “free prisoners”. Being a free prisoner is a tradition, it’s history. I was imprisoned in two different prisons. It is especially the Silivri prison where the fascism of AKP shows itself. It tries to overcome the crisis of the political power by attacking the people. It is doing this intensively in the prisons. I am outside now, but I am certain that our free prisoners will resist until they reclaim our rights by force.” He exposed the fascist attacks of AKP against the prisoners and said that their resistance is winning and will win. In that way the first day of Symposium has reached the end. After the dinner, a fire was lit. Around the fire, a wide “international” circle of people was set up and dancing started accompanied by music. When the music listening has finished, sky lanterns were lit while inviting everyone to participate in the court hearing for the lawyers of the People’s Law Office on September 10th. THE SECOND DAY OF THE SYMPOSIUM, the “Resistances” session that was originally planned for the first day, has been carried over. At the beginning of the session, two support messages that came from abroad were read. The speakers who took part were: Nuriye Gülmen who was the moderator of the session as well, Gülnaz Bozkurt, Mahir Kılıç, Erdem Varan, Kezban Bektaş, Kemal Gün, Mehmet Güvel, Feridun Osmanağaoğlu and Mihail Bliznashki who spoke about the workers’ resistance in Bulgaria. 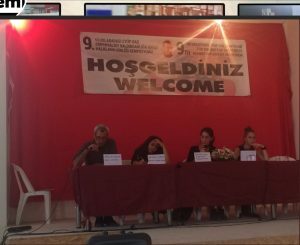 Next to speak was Gülnaz Bozkurt explained how she was laid off for síding with Yüksel Resistance and how she supported it afterwards. She exposed the torture that this ongoing resistance has suffered, broken bones, pulled out hair, denigration, insults and threats. While making it clear that none of this will ever weaken the resistance, she concluded her speech by saying that the resistance will be continued with. 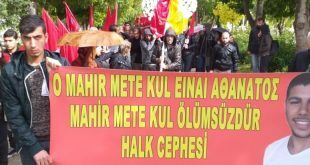 Mahir Kılıç who won his job back by holding hunger strike in front of the CHP’s Izmir municipality, and then started his resistance once again because the municipality didn’t keep their promise, exposed the municipality and stated his support for the Yüksel Resistance. 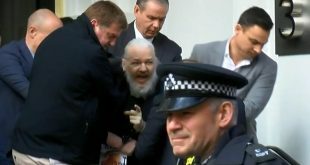 He explained that he will turn to hunger strike in his current resistance. Father of two imprisoned Grup Yorum members, Erdem Varan makes sit-in protests in Netherlands for his children while saying: “I didn’t tell my daughter not to go, I supported her struggle”. By resisting he demands reckoning from the fascism for pulling the hair out of his daughter Bergün. He is well acquainted with the honourable struggle of his children, he is their voice while one of them is bing in Bolu, and the other one in Burhaniye prison. He concluded his speech by talking about the importance of resistance in life. Kezban Bektaş, the mother of Zeynep Yıldırım who was arrested for exposing the police torture and sacrilege (police urinated) in the Sarıyer district’s Boğaziçi Cemevi (Alevite temple) that she’s director of, explained that she started sit-in protest for her daughter. She said it is 42nd day of the protest and that the tradition of this resistance comes from Pir Sultan to this day. 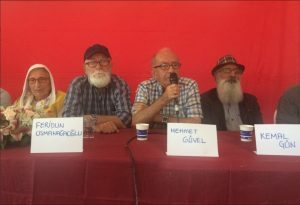 TAYAD members Mehmet Güvel and Feridun Osmanağaoğlu talked about the hunger strike they started in support to Nuriye Gülmen and Semih Özakça, and about that process in general. They mentioned that the resistance that Nuriye Gülmen started alone has opened a breach in the conditions of fascism, and the success in organising many more resistances afterwards. Next to speak was Kemal Gün who started his resistance at the Seyit Rıza square in order to be able to claim the bones of his son and of his 10 comrades. Kemal Gün related his victory against the fascism and it’s guardians who considered it is too much to give his son a proper funeral after bombing his shelter in which his biggest bone found measured 7 cm. He said he’s carrying the honour and pride of his son, and that the victory will come by resistance. After the resisters and TAYAD members, Mihail Bliznashki from the Bulgarian anarchist movement, related the workers’ resistance in Bulgaria. He talked about the unjust treatment of workers which did not take salaries nor compensation especially after the bankruptcy of factories, and about the resistances which have risen out of this unjust treatment. He also said that the rights will not be given on their own without resisting because it is contrary to the capitalists and their interests. During the break after the 3rd session, Grup Yorum’s mini concert was performed. Our friends that came from abroad knew the songs and accompanied them as much as the language permitted. When Grup Yorum said: “Now we invite you all to dance”, as if everyone has been waiting for it quickly and enthusiastically started dancing in the circle. Finger to finger, hand in hand, should to shoulder, this grab this posture it’s unity and solidarity itself. Grup Yorum’s songs on the lips, excitement and smile on the faces. Yes, our dance is an answer to the imperialists and their collaborators. After the concert, Mehmet Esatoğlu spoke in the name of the Artists’ Council. THE FOURTH SESSION OF THE SYMPOSIUM, started with the support message from the Spanish Anti-Imperialist Internationalist Front , and our revolutionary Yugoslav friend. 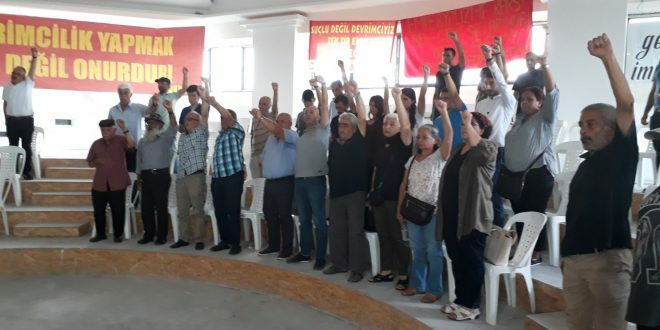 TAYAD member Zeynal Danacı started her speech by commemorating Yılmaz Güney on the 34th anniversary of his death, and said: “Fascism is not attacking only the people of the country it assaulted, it is attacking all people in the world.” Then she talked about the campaigns undertaken by TAYAD. While reminding about Kemal Gün’s resistance in Dersim, she said: “We have resisted in order to be able to get the bones out of the shelter where 11 were killed, and even if it’s only bone pieces, we still managed to get them out of the hands of our enemies.” She related the TAYAD’s labour on countering the fact that no information was received about Ayten Öztürk for six months after being arrested in Lebanon. In the speech by Nuriye Gülmen in the name of Public Worker’s Front, she pointed out that while the resistance is necessary not only against the fascism, but also against the KESK (one of the biggest trade unions in Turkey) that tries to give up. She then talked about the Yüksel School that was started and again blocked by KESK, and about continuing the resistance in spite of all the liquidation policies. Meral Hır continued the Symposium with the talk about the attacks on Grup Yorum. She said that the nicest answer given to the fascism were the new songs. She invited everyone to the Internet concert “İlle Kavga” that will be held in October. After the talk with youthful enthusiasm Ahmet Serdar Demirtaş gave a talk in the name of the DİH (Revolutionary Worker’s Movement) and started by saying: “I dedicate my talk to Oğuz Meşe who waged struggle for DİH.” He spoke about the resistances that the Revolutionary Workers’ Movement organised. In his talk he reminded of the Mahir Kılıç’s second hunger strike in front of CHP. Finally, Aslıhan Diş gave a talk related to the people in the neighbourhoods and mentioned the attacks against them under the state of emergency and the people’s resistances to those attacks. 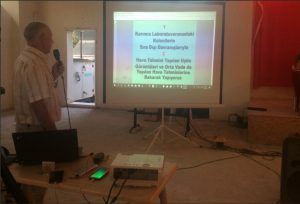 Before the 5th and final session of the Symposium upon the wish of the retired teacher Kadir Sütçü who lives in the neighbourhood, he spoke about his research on earthquakes in the ant laboratory. He pointed out that even imperialist science can be used for our own interests. THE 5th SESSION OF THE SYMPOSIUM consisted of the talks giving answers to the questions: “What should we do, what is the solution?” Ezgi Kul who spoke in the name of People’s Front, in the previous session she spoke about the imperialist policies and present resistances against them, and in this session she mentioned what should we do against the imperialist aggression. After her, Konstadina Kartsioti reminded of the need to provide a proper analysis of the imperialist onslaught. Next, Gianfranco Castellotti and Stefan Petrov spoke. At the end of the Symposium which was in form of 5 sessions during 2 days, the final declaration has been read.